Take the house party to a new level. The GTK-XB60 has deep, punchy EXTRA BASS technology and a light display that pulses to the beat of the music just like the club. Synchronize sound in different rooms by connecting additional speakers with Wireless Party Chain. The built-in rechargeable battery and no need for a power outlet means the party doesn't have to stop. 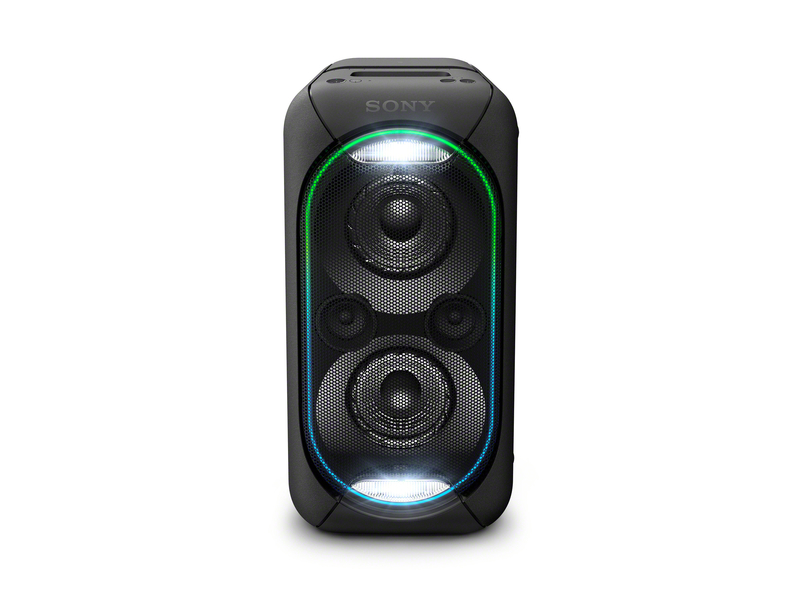 View our full line of Sony product on our eBay store. For fixed priced listings, Buy it Now and Best Offer, payment is required at the time of purchase. We accept PayPal and credit cards via PayPal. We make every effort of shipping within 1 business day of payment clearing. All payments must be through PayPal, utilizing eBay checkout. For auction listings, payment is required within two (2) days of purchase. Any items not paid within two (2) days will risk the product being re-listed and sold to another buyer. We collect sales tax, as required by law. Please see the Shipping and Payments tab for more information. If you do need to return your item, please contact us via phone or email (you will receive an email when your product ships with additional details - Subject: Important information about your purchase from Secondipity). You will then be provided with a return shipping label and packing slip. Pack the item carefully. Include the packing slip, apply the shipping label, and return the item within 5 business days of the date you request a return. You must return the item within 5 business days of requesting the return, or your return will be canceled. Once we receive your order we will inspect the return. Please allow up to 5 business days of receiving the returned item for your refund. Customer Service - We have customer support that is dedicated to making sure that our customers are happy with every purchase. We make a commitment to respond to emails within 1 business day. Our customer support team is available Monday – Saturday 9am- 6pm ET. Response time during U.S. holidays and weekends maybe longer. Secondipity is a subsidiary of Liquidity Services Inc and is based out of Washington D.C.We specialize in selling consumer electronics to customers within North America, South America, Australia, and Europe. Our focus is providing great deals on store returns, refurbished units, and other goods and passing the enormous savings on to our customers with our Platinum-Standard 30-day Guarantee. We provide excellent value coupled with helpful, friendly customer service and fast delivery of goods anywhere in the world. We have been serving the eBay community since 31 January 1999. Sign up for Secondipity's Store newsletter.